Four CF-188 Hornets arrived in Mihail Kogalniceanu Air Base, Romania, to participate in NATO’s enhanced Air Policing. 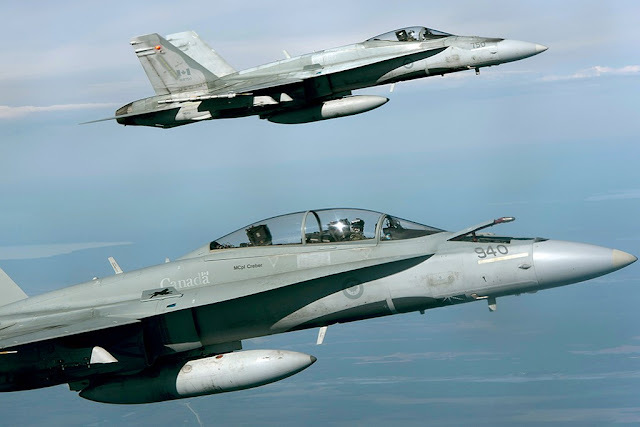 The news had appeared on the web a few months ago, the Sanicole Airshow had already announced its presence at the event to take place in September and now the NATO command has formalized the deployment of the Canadian CF-18 Hornets in Europe. 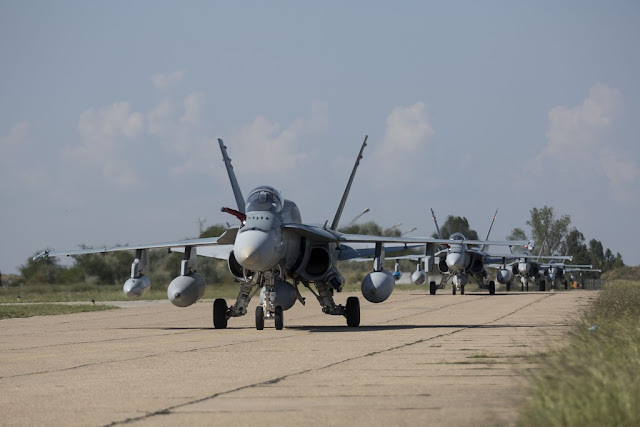 According to NATO HQ Aircom media release, four Royal Canadian Air Force (RCAF) CF-188 fighter aircraft arrived at Mihail Kogalniceanu Air Base, Romania on August 20 for a four-month deployment under NATO’s enhanced Air Policing mission taking over responsibility from the Royal Air Force. The RAF Typhoons have just completed their service started in April (More details here). Together with their Romanian colleagues flying MiG-21s, Canadian pilots will secure the skies over Romania, sending a solid signal of NATO’s resolve, commitment and solidarity. The Canadian detachment consists of 135 personnel drawn from across the Canadian Armed Forces. "An Air Task Force is an agile and flexible organization that is always ready to employ air power and provide support wherever and whenever Canada requires. Our Air Task Force in Romania is proud to participate in the cooperative defence activities that support NATO’s enhanced Air Policing,” said Lieutenant-Colonel Mark Hickey, commander of the detachment. "The RCAF has ample experience deploying under NATO Air Policing missions. It deployed CF-188 jets to the Baltic States and Iceland in support of the long-standing routine NATO mission," he added. Romania conducts its own Air Policing, safeguarding NATO airspace. Across the south of NATO territory, Combined Air Operations Centre (CAOC) Torrejon, Spain is responsible for all Air Policing on behalf of NATO’s Allied Air Command. Until the end of the year jets from both air forces will conduct sorties in concert with one another. For the next days, the Canadian F-18s are scheduled to conduct familiarization flights before starting their mission.